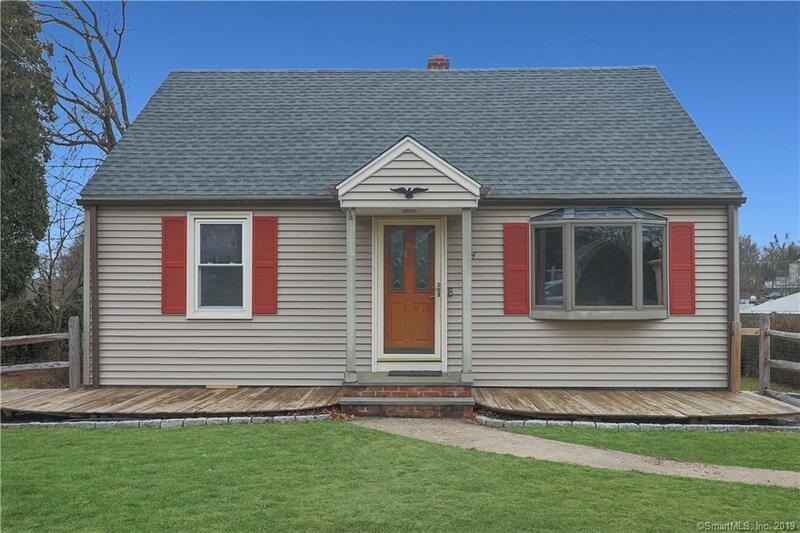 This charming four bedroom Cape is located on a cul-de-sac in a desirable Norwalk neighborhood. Enjoy your bright and sunny living room with a large bay window and recently refinished hardwood floors. Large and sunny eat-in Kitchen has a built-in Hutch, ceiling fan and large bay window. Step out of the kitchen to your oversized deck to enjoy your morning coffee or afternoon BBQ with family and friends. New roof, stainless steel appliances, Ring Pro security system, fire pit and large fenced-in front yard (pet friendly) are just a few of the many updates made to this home. Full unfinished basement has tons of potential for additional living space. Perfect for empty nesters or first time home buyers.